Do you have an interest in sport and leisure activities and/or the entertainment sector and a passion for inclusivity? 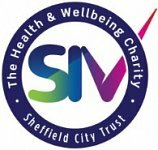 If so you may be interested in coming along to the next meeting of the SIV ( Sheffield International Venues ) steering group on Friday 8th March from 10am to 12 noon at Pond’s Forge International Sport Centre, Sheaf Street Sheffield S1 2BP. Disability Sheffield and Sheffield City Trust are looking for disabled people to be part of a steering group to provide clear and concise guidance on how Sheffield International Venues can be more inclusive for disabled people in its policies, processes and programmes.